Welcome to the official Amherst Community Wind Farm website! 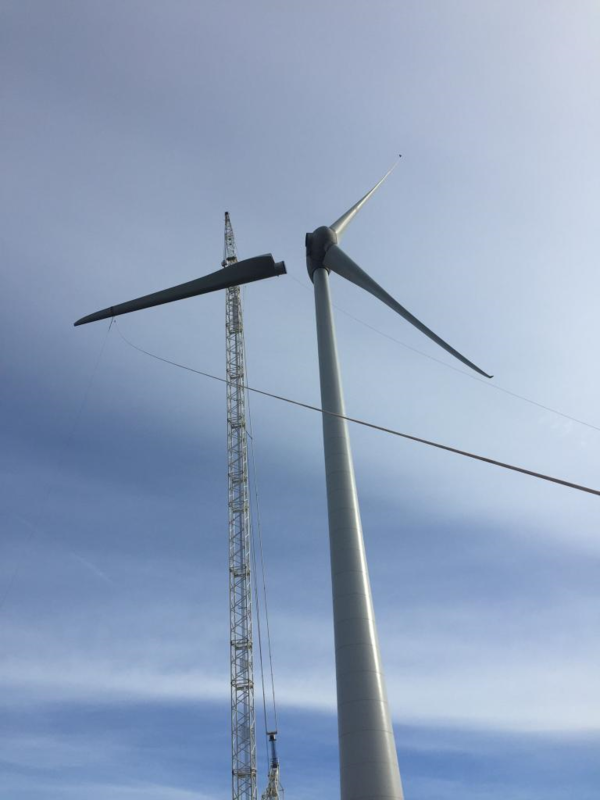 ​This website has been set up to provide information for the community and stakeholders on the Amherst Community Wind Farm. Summer 2016 - Electrical work by Nova Scotia Power Inc.
Informing the public of the project's progress using this website, newsletters, public open houses and press releases. The creation of jobs within Amherst and the Municipality of the County of Cumberland during the construction phase. The creation of a small number of permanent positions during the wind farm's operational life for maintenance. Renewable energy supply in the Amherst region to help meet growing energy demand. Additional revenue for Municipality of the County of Cumberland through the payment of annual property taxes by the project proponent, which will benefit all residents of the municipality. Help achieve government renewable energy targets. Targets are to produce 25% renewable energy by 2015 and 40% by 2020. The Environmental Assessment (EA) for the Amherst Community Wind Farm has been approved by the Minister of Environment on February 17th 2015. The EA was registered on December 19th 2014 and was open for public comment until January 28th 2015. An EA is a tool that is used to predict and evaluate the environmental effects of the proposed Amherst Community Wind Farm to determine the acceptability of the project. In other words, it is used to determine the impact the project may have on the environment surrounding the project. The EA was conducted in accordance with the Nova Scotia Environmental Assessment Regulations. The EA and all the studies included in the assessment are paid for by Natural Forces. Conventional sources of electricity come from burning fossil fuels such as coal, gas, oil and from nuclear fuels. There are fears of fossil fuel shortages, and an international consensus that burning fossil fuels is contributing to our planet's increasingly rapid climate change. ​New energy generation helps to meet the growing demand for electricity. Increased diversity of supply and therefore, increased security of supply. Aids in the prevention of biodiversity loss caused by unchecked world temperature rises. How strong does the wind have to blow? Do turbines affect birds and wildlife? Does turbine noise have any effect on health?